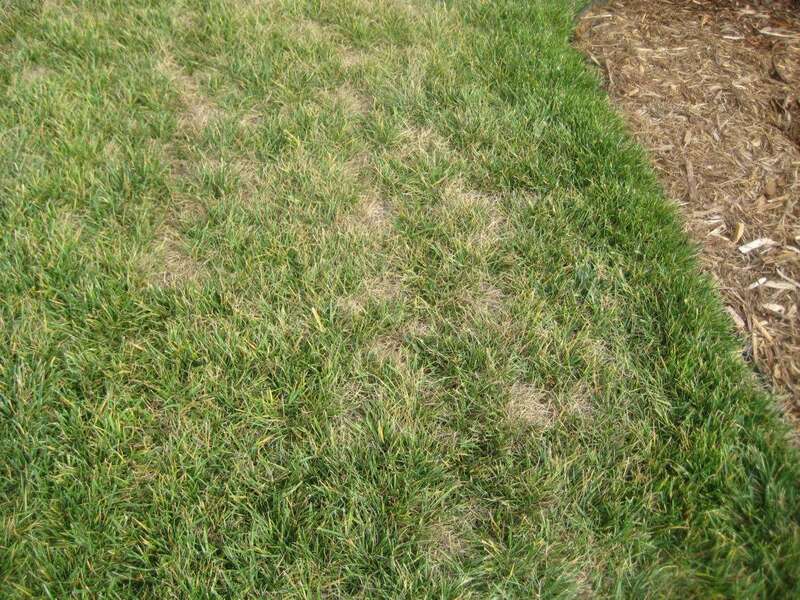 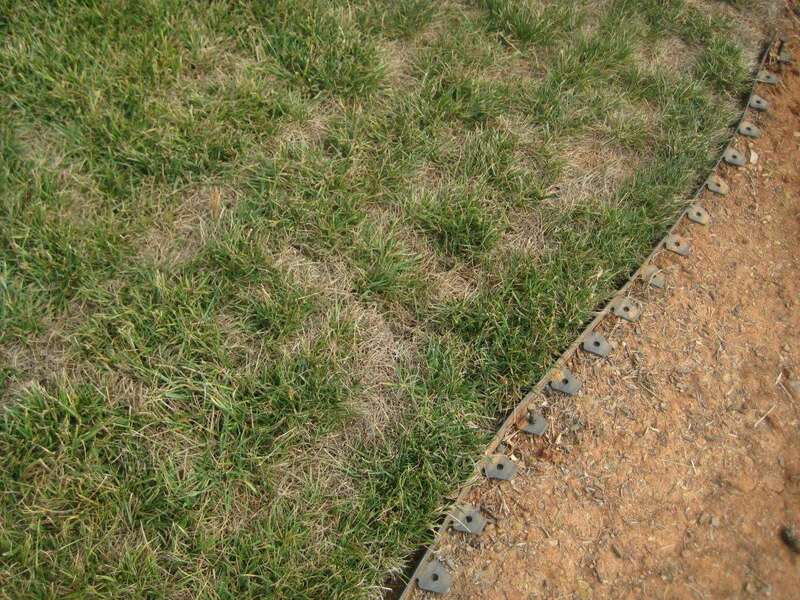 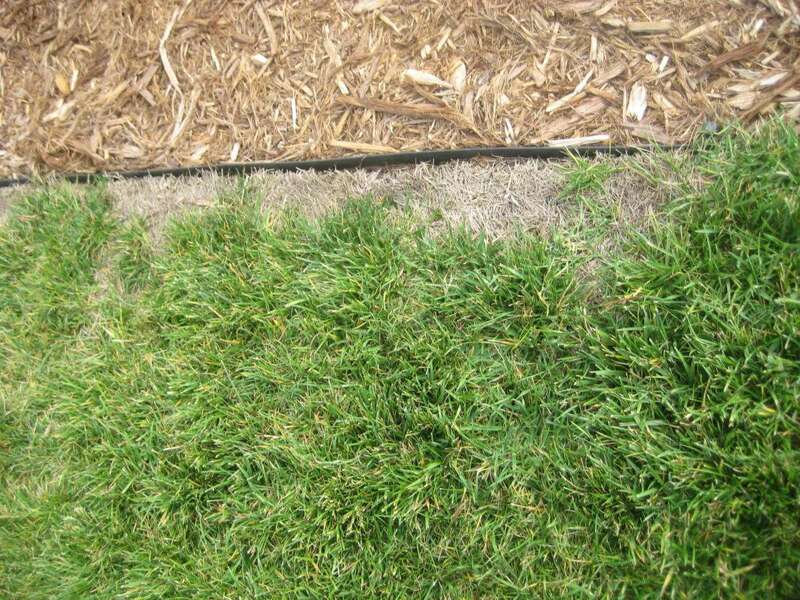 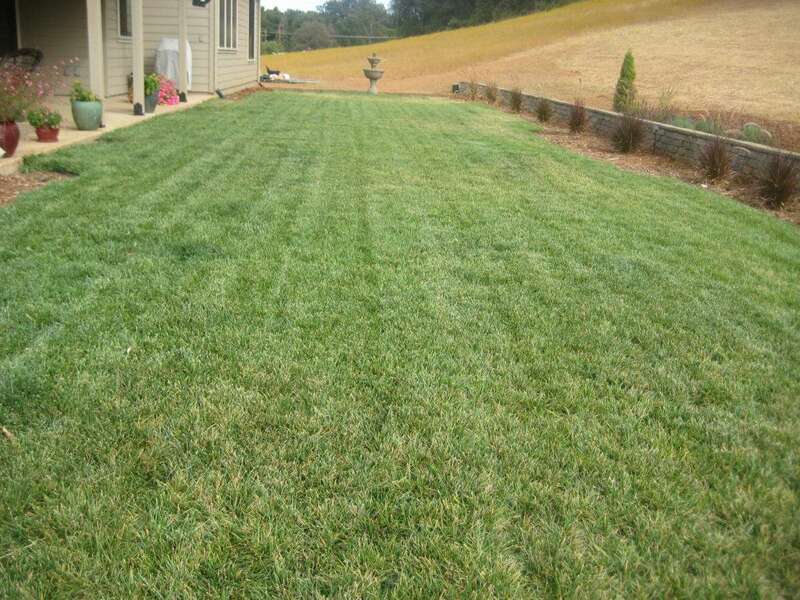 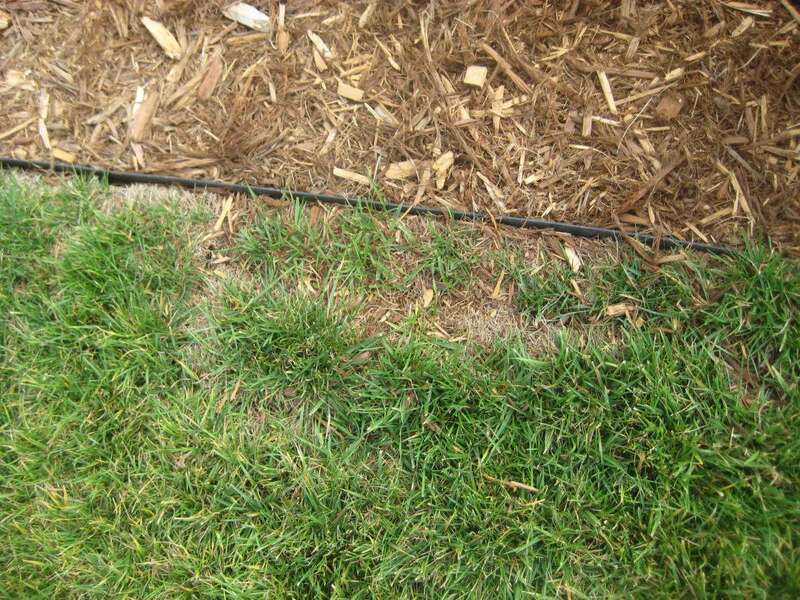 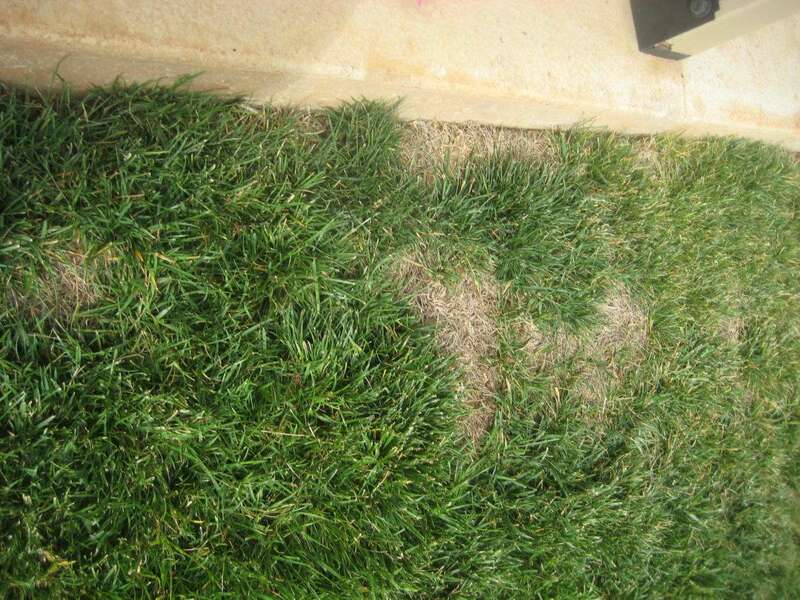 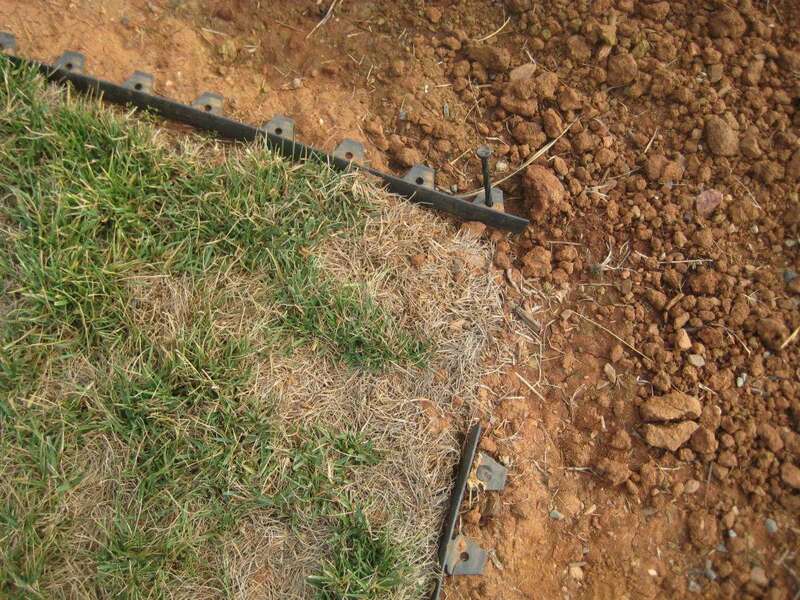 This lawn is showing dead areas, mainly along the edges. 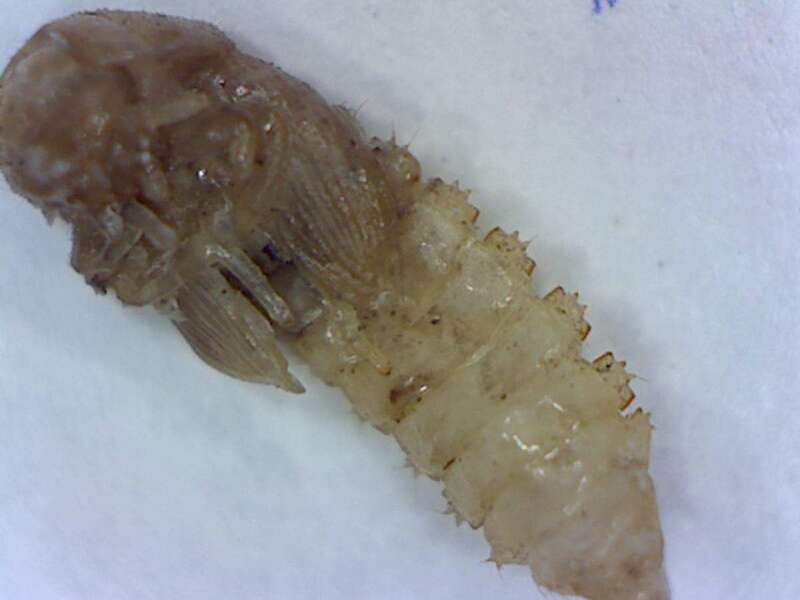 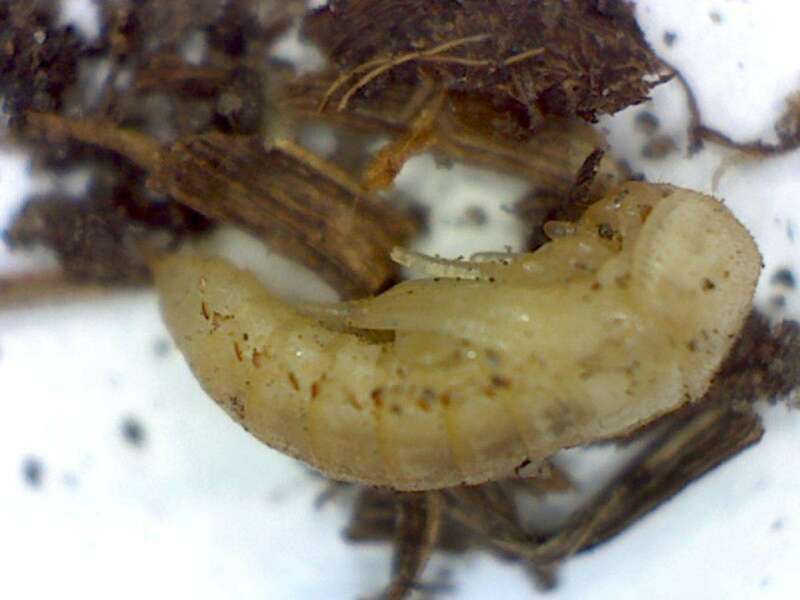 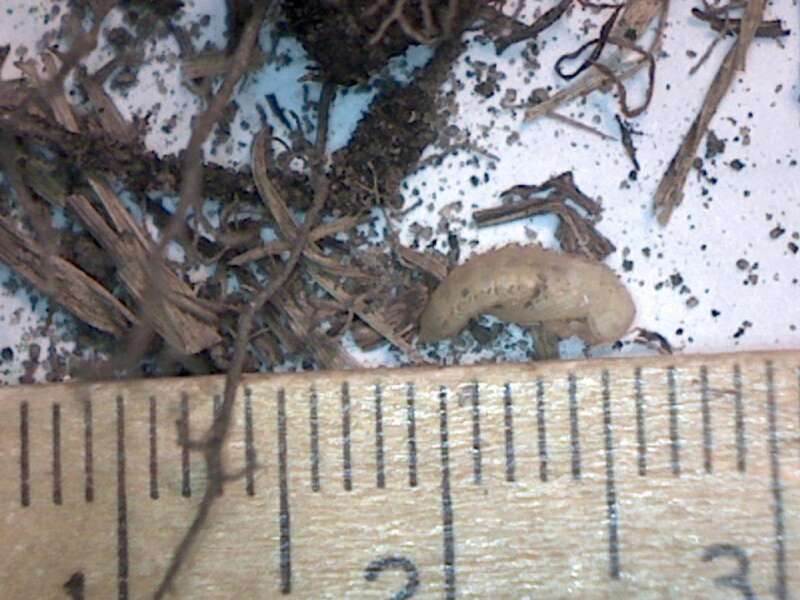 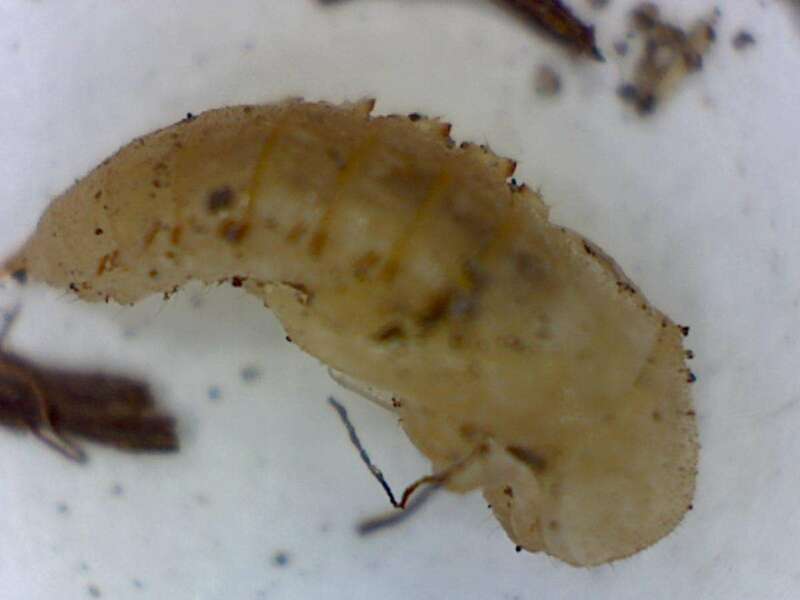 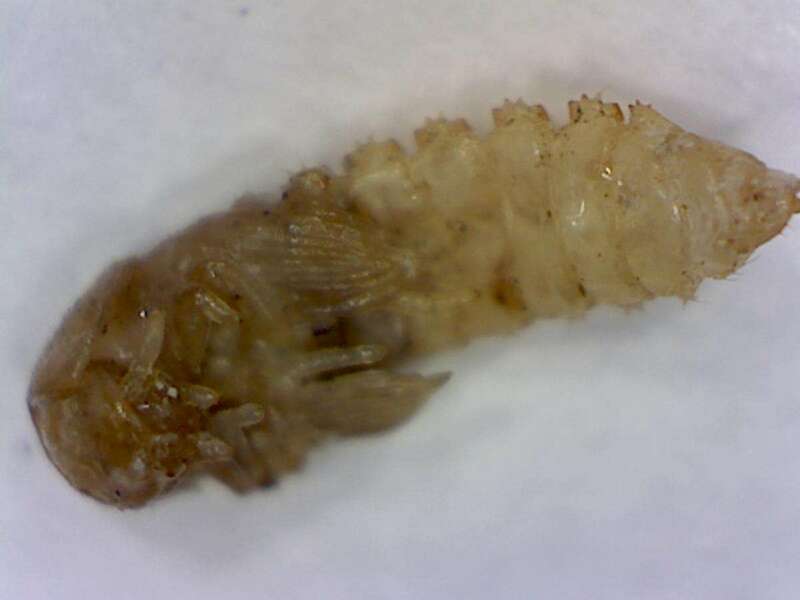 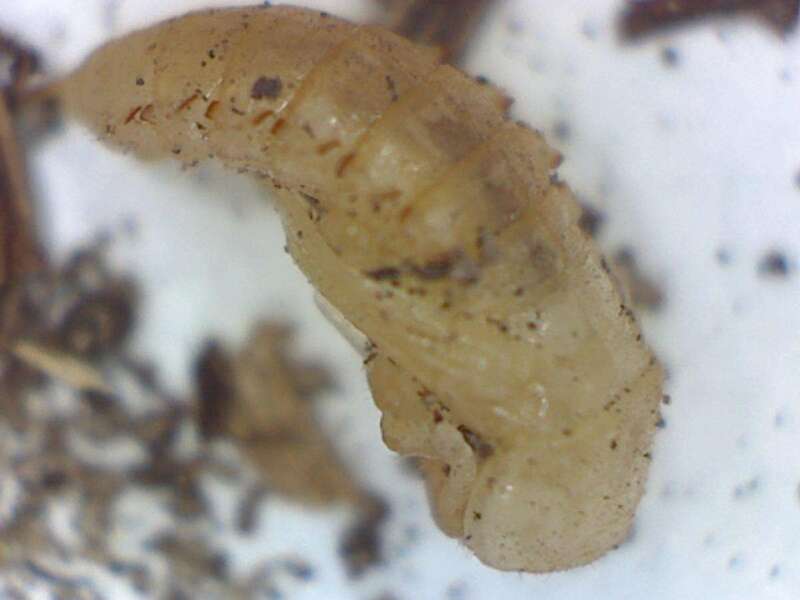 Some pupae were recovered, but they appear to be of Eurasian mealworms, which do not damage lawns. 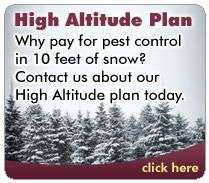 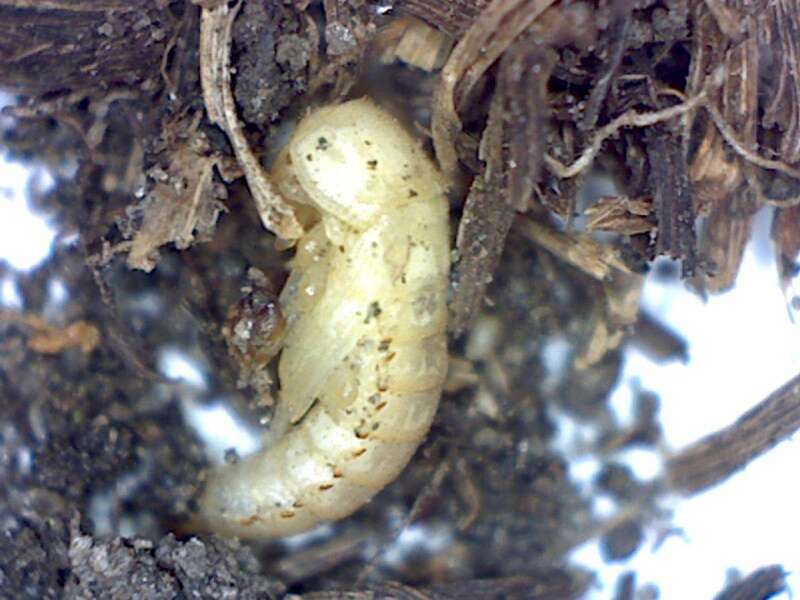 No cutworm larvae were seen when investigated.